Searchfield Homes is a multi-award-winning niche development company, renowned for creating exclusive luxury homes in the Surrey Hills area. For the past 12 years, we have built an enviable reputation for developing some of the finest properties throughout Surrey, Hampshire and the surrounding area. Searchfield also offers a comprehensive turn key solution for private clients – project-managing your new home’s creation from inception to completion. Working with you from the earliest stages of site purchase through to interior design and landscaping, we encourage our clients to get involved as much as they want to be. We are renowned for our outstanding design and superior quality finish, with every Searchfield home conceived to achieve a modern harmonious living environment. With an excellent reputation among estate agents and property professionals across the south of England, Searchfield projects have been featured in several national publications, earning widespread acclaim for our attention to detail and unparalleled quality of design. 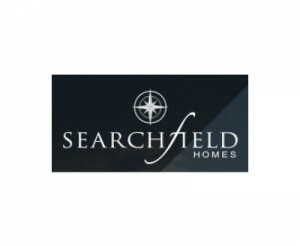 Searchfield Homes is a luxury house Builder that has jobs for all levels of QS from Assistant Quantity Surveyor to Senior Quantity Surveyor and Commercial Manager.